It’s been very ugly weather lately. Heavy rain and very bland overcast conditions which leaves taking photos not that much fun. We drove out the Barnet Marine Park in the late afternoon and I spent a few minutes watching the misty clouds rise up from the tree tops across the water. The sunset has been very early so it was going to happen pretty soon. I wandered further down the seawall and stopped at a viewpoint of the old pier. 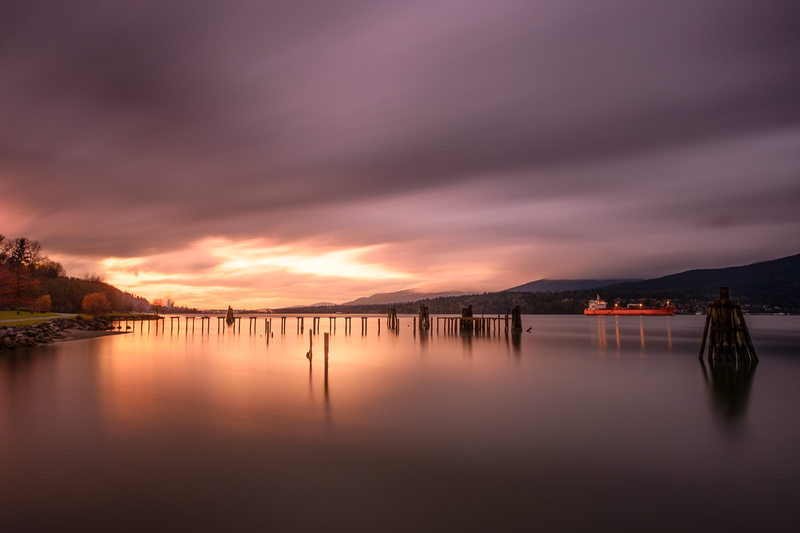 A bright red freighter lined up perfectly between the pilings so I decided to stay put and try out a long exposure. 4 minutes later this was the result.